SVP, Chief Merchandising Officer/Walgreens Co.
Joe Hartsig is senior vice president, chief merchandising officer for the Walgreen Co. based in Deerfield, Illinois. In this capacity, he leads the merchandising function, overseeing all store buying and planning groups that include Beauty and Personal Care, Health and Wellness, Grocery and Household, and Seasonal and General Merchandise businesses. He also leads the regional merchandising and digital commerce businesses, including Walgreens.com and the largest brick and mortar photo business in the U.S. Before this, Hartsig was responsible for all marketing and digital commerce business efforts for Walgreens, including leading brand strategy and planning, category and pharmacy marketing, creative design services, and Balance Rewards, one of the largest loyalty programs in the United States. He also oversaw Walgreens digital commerce units, including leading omni-channel strategy, and having P&L responsibility for the walgreens.com and drugstore.com businesses. Previously, Hartsig was senior vice president, chief merchandising and marketing officer at Essendant, Inc., a fortune 500 wholesaler of office, cleaning and industrial products for independent resellers and large e-commerce retailers that need a broad assortment of business essentials delivered next day. Prior to that, he spent five years at Walmart, Inc. as senior vice president, GMM at the Sam’s Club business, where he led the Technology, Office and Entertainment division. 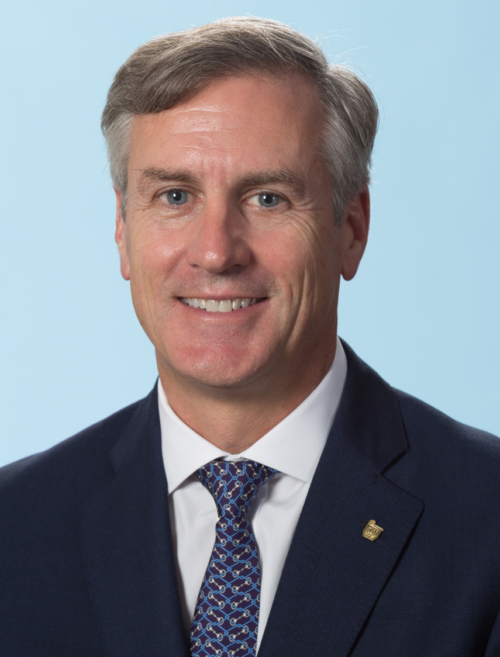 Before moving to retail, Hartsig was vice president, general manager at Motorola, Inc. where he lead global account management for a large customer based in Europe as well as leading product, marketing and engineering organizations within the fast growing accessories and handheld device divisions. Prior to this, he held roles in brand management and marketing with increasing responsibility for companies such as SC Johnson, Pillsbury and ConAgra. Hartsig lives with his family in the northern suburbs of Chicago and serves on the board of directors for the Boys Hope, Girls Hope organization as well as on the advisory boards for Enactus, National Association of Chain Drug Stores, Global Retail Marketing Association and the Northwestern Retail Analytics Council organization. He holds a bachelor’s degree from Hillsdale College and a masters in business administration degree from Northwestern Kellogg School of Management.